Last week we spent a rainy Sunday at MoMA, NYC. 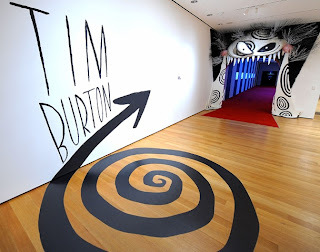 We were drawn there by Tim Burton; his imagination and interpretation of his ideas blew us away. 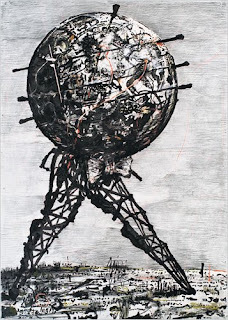 We wondered at William Kentridge's charcoal and paper media work. But it was Marina Abramović: The Artist Is Present that provoked the most discussion. A week later we are still talking about her performance art. Provoking, puzzling and powerful, it's as much about the viewer's reaction as it is about the performance itself. Unsettling as it may be, it's art you cannot ignore. My favorite thing in life is art you cannot ignore. We saw the Water Lilies in San Diego several years ago. Lovely, just too lovely for words.